I'm Bobbin, Are you my mother? 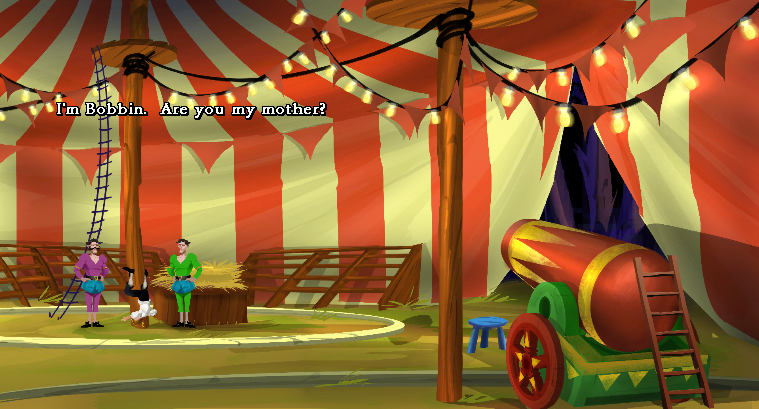 In the circus, one of the options you can have Guybrush say is "I'm Bobbin, Are you my mother". Bobbin is a character from Loom, whose mother was banished shortly after he was born.